The minister told the DRD committee last week that only £13m was available for TransportNI to cover the cost of street lighting, patching materials and salt, external contractors, fleet maintenance and fuel. The cost of all those services, he added, is normally over £40 million. That translates to less (if any) potholes being fixed, and crucially no budget for salting the roads. It is going to be a depressing year for the Northern Irish motorist. But we can sure as hell continue cleaning up after the 11th night and 12th day, run insanely expensive up to 40 year old investigations repeatedly. Great value for my money via rates, vat, duty, income tax etc. One thing is for certain, itll keep migration down as noone will want to come to this pathetic place. Pretty strange. Especially considering half a million tonnes of de-icing salt is dug out of the ground at Carrick each year. 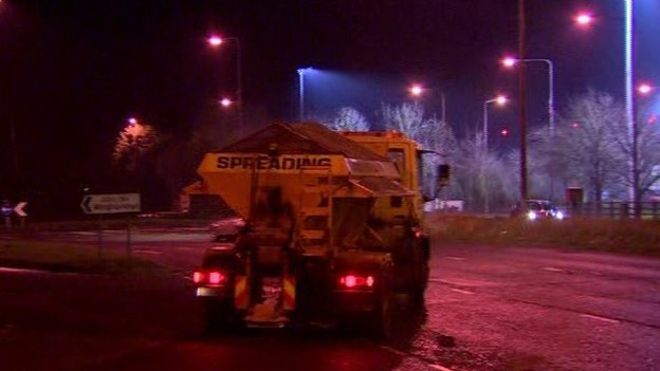 Salt that is used to de-ice most of the UK's roads, some of Ireland's roads and is exported as far as New York. | One thing is for certain, itll keep migration down as noone will want to come to this pathetic place. Well, there's an election in May, just remember all that wasted money when you're filling out your ballot paper. | Pretty strange. Especially considering half a million tonnes of de-icing salt is dug out of the ground at Carrick each year. 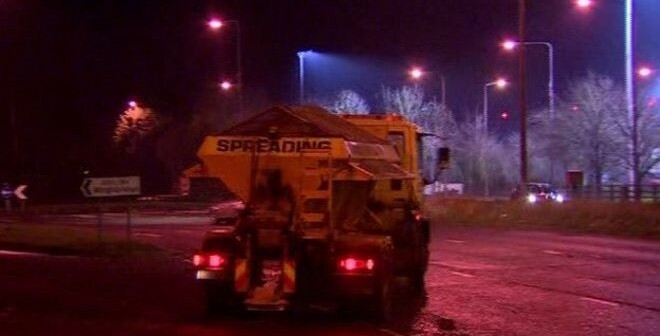 Salt that is used to de-ice most of the UK's roads, some of Ireland's roads and is exported as far as New York. | Well, there's an election in May, just remember all that wasted money when you're filling out your ballot paper. | Won't make one difference. At the moment we have an executive made of 2 sides, each with their own members of staff, rather than a pool of staff they both use. There's savings right away. Then there's money being wasted on policing parades, historical enquiries, court hearings around the health service etc. All of that attributed to the two main parties in power. Stormant isn't ideal but it's what we have, but it requires people to get out and vote and effectively say, we're not happy with how things are run. All this while Marty, Peter and the lads in stormont bleed this country dry. The people who voted for them should be ashamed of themselves. Until there is a viable alternative free from religious bias then I will never set foot in a polling station.